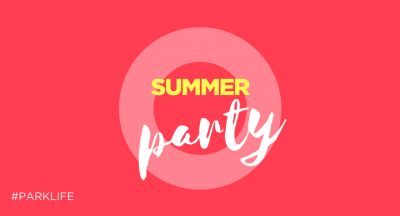 More than 1,500 people who work at The Oxford Science Park, one of the most influential science & technology environments in the UK, were treated to an unusual and extreme lunchbreak at the Park’s annual Summer Party held on Friday 29 June 2018. 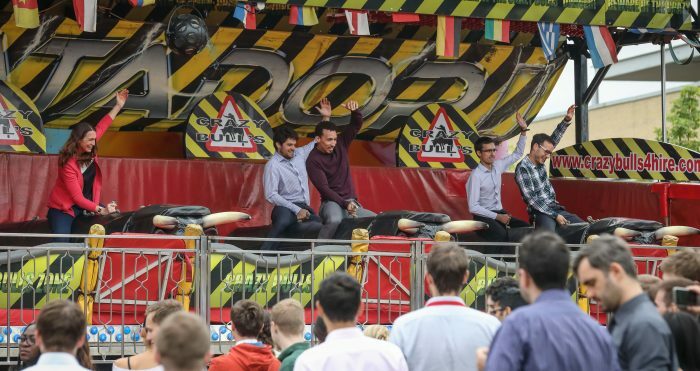 This year promised to be bigger and better with lots of rides including last year’s popular ones: Crazy Bulls and Miami Fever, and a new one: Freak Out! And for the Park’s nursery children, there was a bouncy castle with slide. Delicious food was served from Oxford-based The Hog Roasters which provided slow roasted shredded brisket of beef in a smokey BBQ sauce, and La Cocina Espanola, the Spanish Kitchen, which cooked up a chicken and chorizo paella and a seafood paella. North Cotswold Brewery provided their award winning Shagweaver Pale Bitter and Gwynt Ddraig’s Happy Daze Cider.